Our 18cc is the smallest boat in our lineup, yet is big on ride quality, performance and value. With our signature true track keel system and open cockpit, the 18CC feels like a much bigger boat. And with a wide variety of available configurations, the 18CC serves a wide variety of purposes from a family fish/skier, to a light tackle fisherman/crabber. 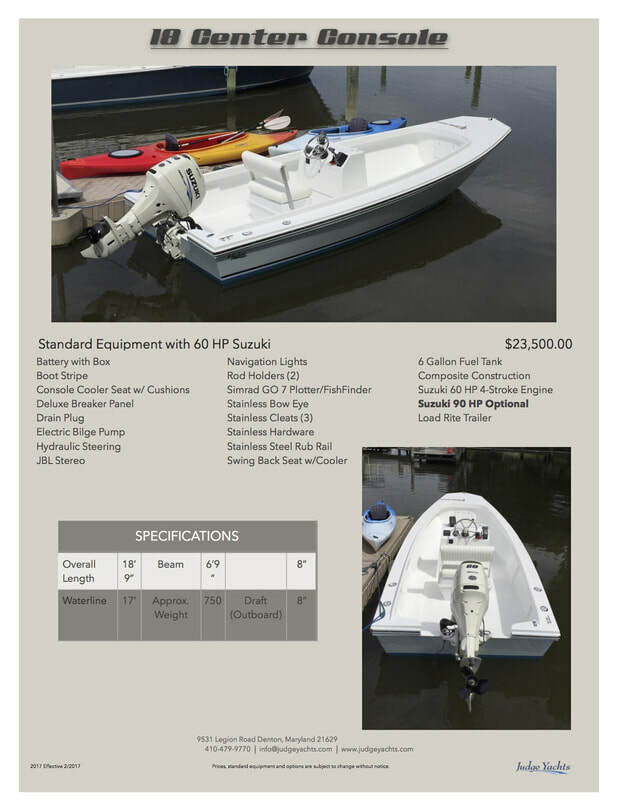 This boat will fit any family or individuals needs.